LAHORE: Chef Khadim Rizvi, Chief of Tehreek-Labbaik Pakistan, was arrested by a police force in his home in Lahore on Friday night. Media reports suggest that a breakdown has been initiated against the party’s activists and leaders in all major cities in the country after the arrest of the fire brigade. Dozens of partisan workers have been arrested, while police officers have been deployed at the Faizabad Exchange in Islamabad, where the organization had previously had a weekly protest. The party had arrested violent nationwide protests against free Aasi Bibi last month. 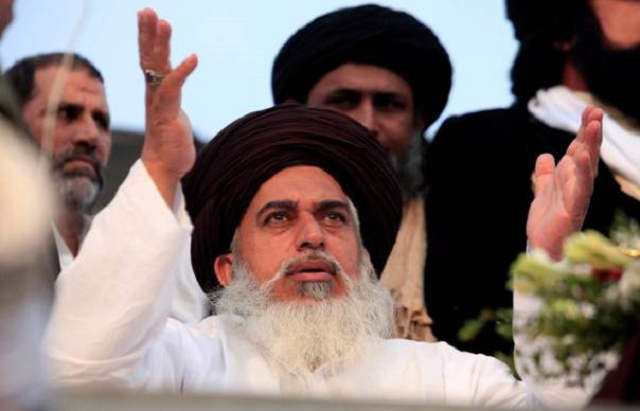 The Rizvi-led TLP had called its nationwide protest right after reaching an agreement with the federal and punjab government. On October 30, country-driven protests broke the blasphemy’s accusation by Aasia Bibi, of Pakistan’s supreme court. Rizvi had repeatedly criticized state institutions, including the government, the military and the court, especially after a failed round of negotiations between the TLP and the government. TLP took the street after the merger of Aasia Bibi by the Supreme Court on October 30, which paralyzed major cities in the country. In his immediate reaction, Prime Minister Imran Khan had warned the protests of not invoking people to violence, otherwise the state would carry out its duty to protect citizens’ lives and property. The TLP protesters stopped putting the warning away and arranged New protests after Friday’s prayers, which stop life. All private and public educational institutions were closed in the metropolitan areas, while state and commercial businesses were also thin. The hospitals were also affected by staff shortages. Many districts in Karachi remained without water because the demonstrators had stopped water tankers in different places.